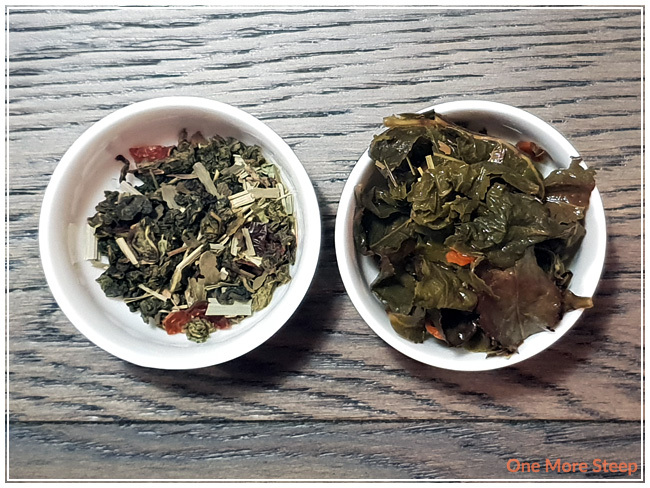 The thing that drew me to Think when I was looking at Woash Wellness’s offerings at the 2018 Vancouver Tea Festival was the fact that it had an obvious oolong base – and even before looking at the ingredients list, I could smell that it was a milk oolong. 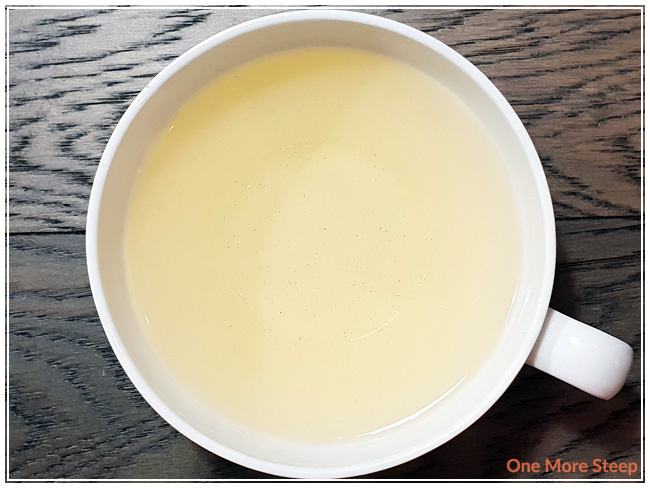 In my previous experiences with milk oolong, it’s often creamy, has a light sweetness, and some lovely long-lasting floral notes that are just buttery and good. Think is said to “help to improve mental performance and alertness, while increasing memory retention and lower stress levels”. I think we could all do with a little bit of that in of our lives! 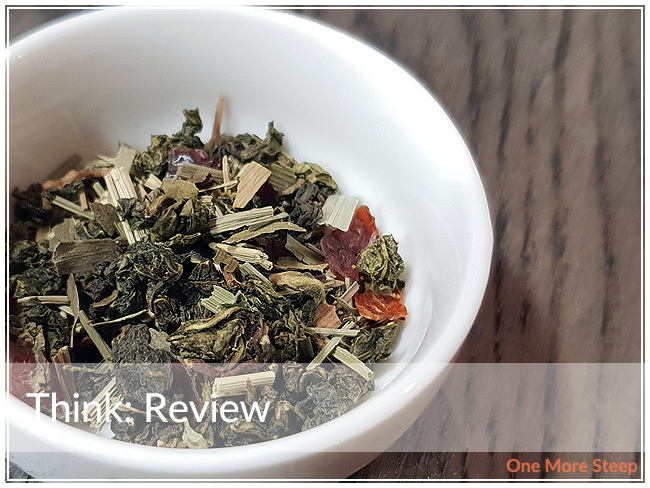 The dry leaf of Think smells primarily of milk oolong – there’s that pleasant, floral and dairy aroma of the oolong base, and I can also smell the lemongrass and potentially the lemon verbana as I can smell a bit of a lemon/citrus in the background. Think consists of: milk oolong, lemongrass, rosehips, lemon verbana, and gingko. Woash Wellness recommends steeping Think in 195°F (90°C) water for 3 to 4 minutes. I followed the steeping instructions for my initial steep of Think and steeped for 4 minutes. Think steeps to a bright golden yellow. The aroma from this oolong blend is primarily creamy, buttery notes for me. I find that there’s a light hint of citrus in the background that I’m attributing to the lemongrass and lemon verbana. It adds a nice brightness to the fragrance. On first taste, I can definitely taste the oolong base – creamy, buttery – everything that I enjoy in a milk oolong. The lemongrass and lemon verbana really offer a burst of citrus that is almost invigorating for the senses. If you’ve ever eaten citrus early in the morning and gotten that burst of energy just from that bright flavour, you may understand what I’m trying to convey here. I do taste the other ingredients, but not enough to be able to pick each one out individually – although it does add for another layer of complexity to Think. There’s a nice sweetness to this oolong blend that balances well with the buttery flavours of the milk oolong. I resteeped Think three times, adding an extra 30 seconds to the steep time in each subsequent steep. I found in the first resteep that the colour of ht tea was even a brighter yellow, if that’s even possible. The flavour was undoubtedly more buttery, and the texture of the tea had a thicker mouthfeel to it. The flavour and colour became consistently lighter after that, but the balance between the butter flavours and citrus notes remain well balanced throughout each steep. 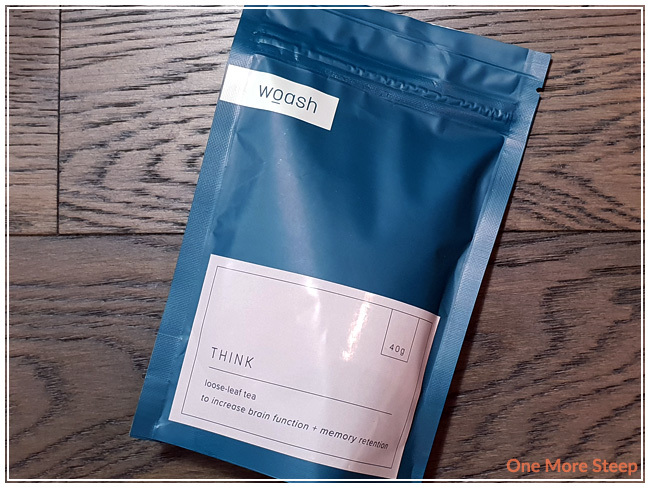 I loved Woash Wellness’s Think. I think that the milk oolong is cleverly balanced against the citrus/lemon notes from the lemongrass and lemon verbana. It has a great burst of flavour, with all the pleasant textures that I enjoy in milk oolong. 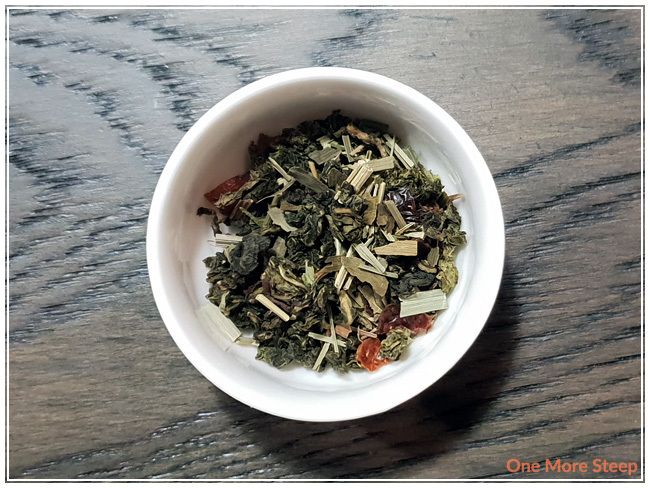 What Woash Wellness was striving for – a tea to help with mental alertness – was a goal that was met in my opinion, especially with those citrus flavours that really wake you up. It’s a very pleasant take on a milk oolong blend that I haven’t experienced before and really enjoyed.